But as awesome as that sounds, that's not what this review is about. This review is about one of the many other Gundam 30th anniversary releases that came out this year, Haruhiko Mikimoto's Gundam Illustrations Into the Sky (美樹本晴彦 ガンダム画集 INTO THE SKY). 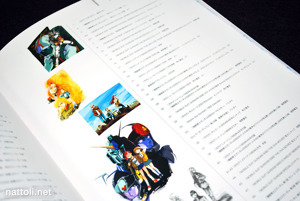 This art book was released September 26, 2009 and is 104 pages in length. Into the Sky follows the Gundam series in order of UC year, all the way from 0079 U.C. up until Next Generation. 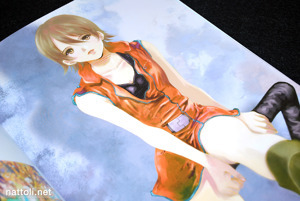 A lot of artists are involved with Gundam, so no where near all the art from the series is featured. This book concentrates entirely on Haruhiko Mikimoto's contributions. I really feel like his work jumps around dramatically. 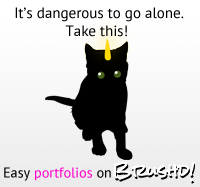 The art styles range from pencil sketches, to rough water-colors, to really polished water color and anime cel style drawings. But the art work spans years just as dramatically, with some of the earliest stuff in the 1980's and the most recent, like the cover illustration, from 2009. 30 years is a long time for an artist to hone his craft. Universal Century 0079 is covered with both Mobile Suit Gundam and Gundam 08th MS Team. 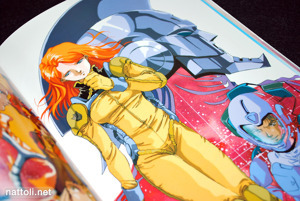 There are a total of ten illustrations, most of which is MS Gundam, because 08th MS Team has only one illustration in the book, and it's a pencil drawing. 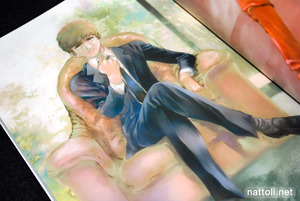 Mobile Suit Gundam 0080 - A War in the Pocket received a surprising 28 pages of art work. Surprising because it was just an OVA (and not one of my favorites...) but also not surprising because Haruhiko Mikimoto was the character designer for the series. 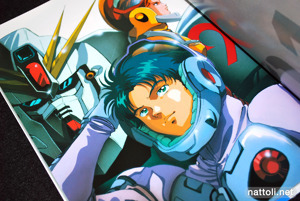 Gundam 0083 Stardust Memory gets a single illustration, but Haruhiko Mikimoto wasn't really involved with that one at all. The next big section is Gundam Zeta, with 9 illustrations followed by Char's Counterattack with 4 illustrations. The majority of the art work is done in a cel-shaded anime style, so it looks very dated. 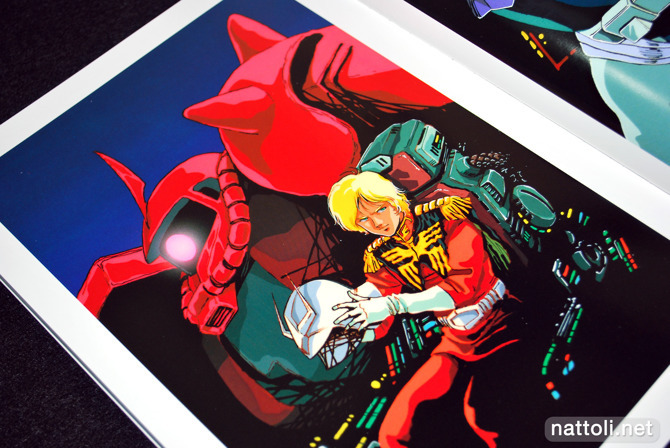 There are a couple water color ones, of Char and Amuro Rei, which are excellent. Hathway's Flash gets a couple of pages for U.C. 105. I'd never even heard of that one before buying this art book. The last ones from the U.C. time-line are Gundam F91 and Victory Gundam which are a combined ten pages in total, with a lot of anime styled art work for F91. 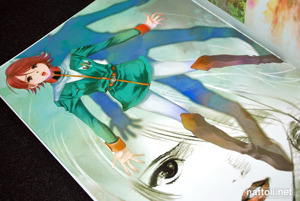 Mobile Suit Gundam Wing is featured too, the only series on the A.C. time-line that's in the book. There are 12 illustrations, and pretty nice to boot. It really shows how versatile Haruhiko Mikimoto is when he can completely capture someone else's character designs and yet still keep it your own. But I guess that's a skill that most animation artists have. The book ends with the Next Generation Ecole du Ciel. 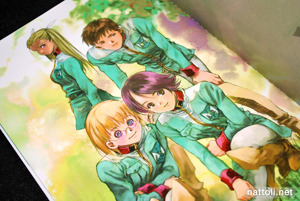 The pictures were from Gundam Ace Magazine and seeing that they're some of the most recent art works in the book, they're also some of the best ^^; Lots of soft water-colored art works, and the main character girl is lovely. Overall, I'd really only recommend this book to hard-core Gundam fans, who really just want to have "everything." 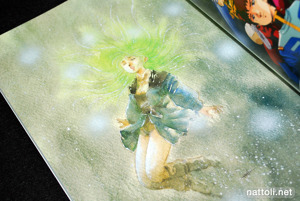 Though this book is only supposed to cover Haruhiko Mikimoto's art work for Gundam, I was expecting to see a bit more art work than is pictured, especially for its price of ￥2,940. And to put that price into perspective, just consider that the Pandora Hearts ~Odds and Ends~ art book with its amazing quality and presentation cost less at ￥2,800. I loved the art from the Universal Century series'. Not a real big fan of the orignal Mobile Suit Gundam, but I did like just about all the ones. Some of the first anime I watched was Gundam, and I was hooked. I'm not to much into art books, but I still love looking.